HomeBusinessNetwork Monitoring with Open Source Tools : How Open Source Helps? The use of a system that constantly monitors a complex network of computers is defined as network monitoring. Network monitoring is basically defined as a part of network management. It is meant to notify the network administrator via email, SMS or other alarms in case of outages or any other complication. Network monitoring is a critical aspect of network management and thus, it is essential to make sure those computer applications and networks remain safe from all sorts of cyber attacks, the vulnerabilities that PCs and laptops are prone to. There are open source communities around to develop advanced tools, this article presents the rationale for network monitoring, along with a few select open source network monitoring tools. Network monitoring has the ultimate goal of reducing the IT's load and making the life of IT professionals a little easier. In this direction, open source development looks promising for both developers and consumers. Often, IT teams faces heavy workload and complex projects without ideal time, staff, or budget. In that case, the right network monitoring tool can be the only solution to deliver immediate ROI. It even cuts down on tedious troubleshooting time. · Intrusion Detection: Intrusion detection is meant to monitor local area networks or Loans for unauthorized access by hackers. It is implemented by most IT professionals to detect viruses, malwares and other network vulnerabilities. · Firewall Monitoring: It monitors the incoming and outgoing traffic of the network. Not just that, it tracks the activities of a firewall in order to ensure the screening process. · Penetration Testing: Penetration testing is carried out by IT professionals with the purpose to take network security to another level by discovering networking vulnerabilities. The market for network monitoring systems often seems to be quite confusing. Internet offers a wide range of tools with almost similar and limited features. Thus, it is important to make sure that you understand the uses of the tools available and then opt for the one that better suits your needs. This tool offers centralised networking. It is available in a wide variety of languages, including that of French and Spanish. It offers an all-in-one network monitoring software, thereby, helping the users to locate and avoid network errors across various areas of network. It is a PHP-based open source network monitoring tool that uses the simple network management protocol (SNMP). It supports operating systems such as Linux and FreeBSD. ManageEngine offers a free network monitoring tool called OpManager. 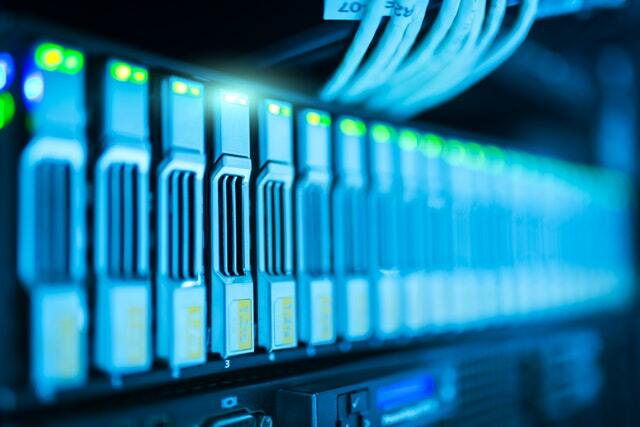 Not just that, it provides network, server and virtualisation monitoring as well as allow the users to monitor a wide range of critical devices such as routers, firewalls, and switches. IBM helps you to bypass long development times, thus, minimizing costs at the same time. It uses SIEM technology to reduce upfront and operational costs, detects threats more quickly by using close gaps. Besides, it offers you continuous updates regarding any kind of evolving threats and regulatory compliance requirements. They have dynamic community for open source development and build many open source projects to help the communities around. Open source tools offers verity of features and developers can easily customize it with the need of the environment. With the help of a right developer community, open source development can change the level of coders and increase the innovation. IBM provides open platform to developers around the world, they provide codes, docs, supporting materials and all the needful for developers to use. Developers can join the community and access the codes, together they can take these promising open source projects to the new level. Thanks for sharing network monitoring software list. There are many more software which you missed in this list.